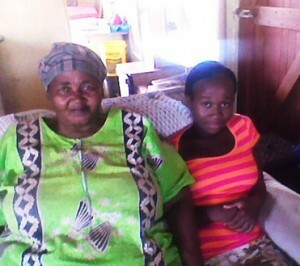 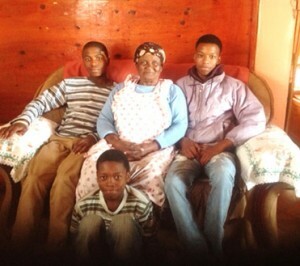 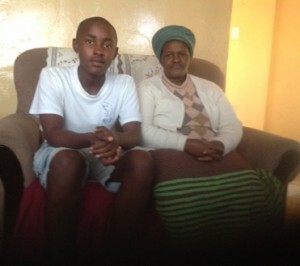 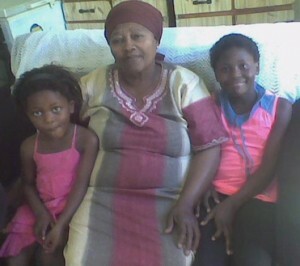 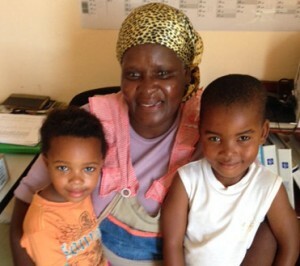 Mama Iris Ndlazi is a grandmother caring for her two grandchildren Aphelele and Siphesihle. 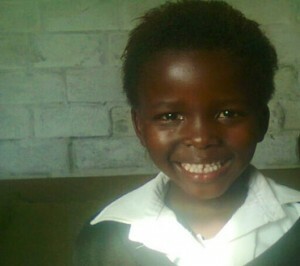 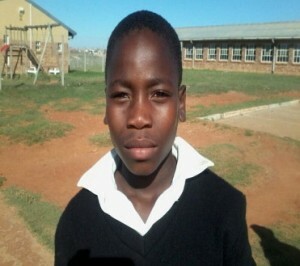 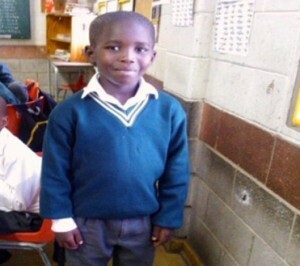 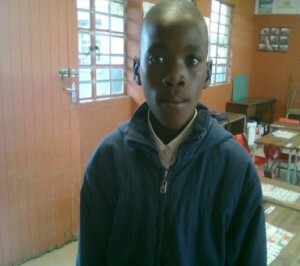 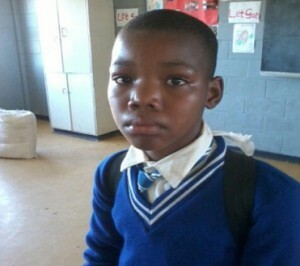 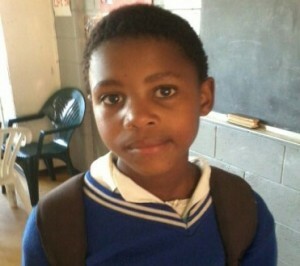 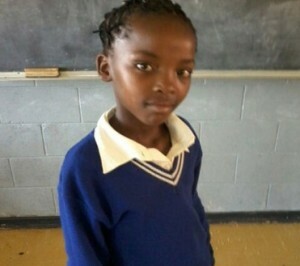 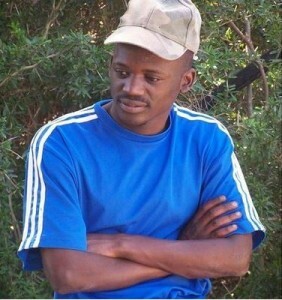 Aphelele is her five year old grandson he is in grade R at school and he loves to write. 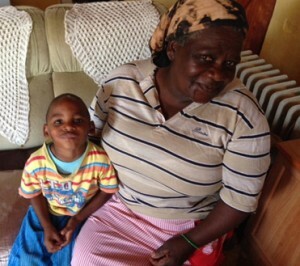 He loves to eat his grandmothers cooking and to play outside with his friends. 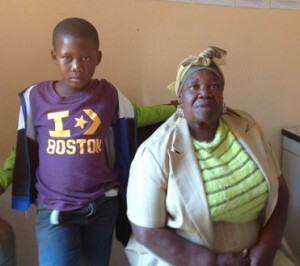 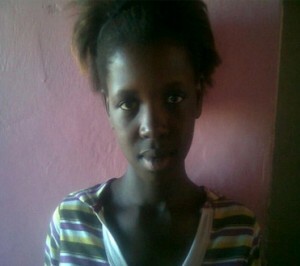 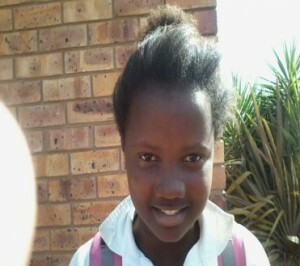 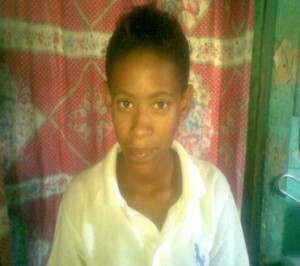 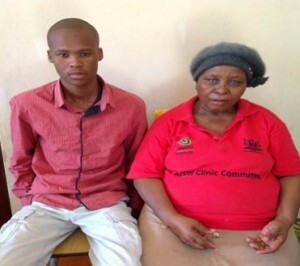 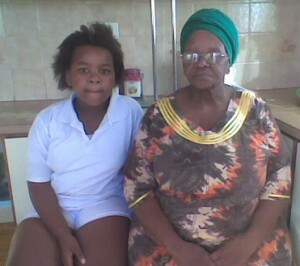 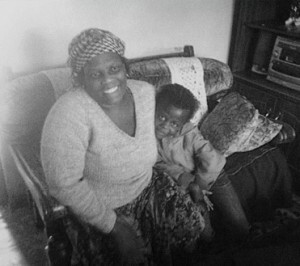 Aphelele’s mother is very sick she has epilepsy and has many fits and is unable to care for her children. 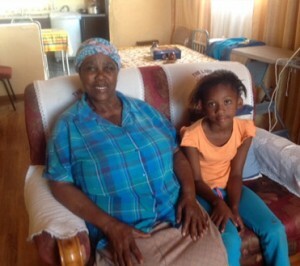 Siphesihle is Mama Iris’s granddaughter she attends a day care and loves counting and reading her memory verse bible reading. 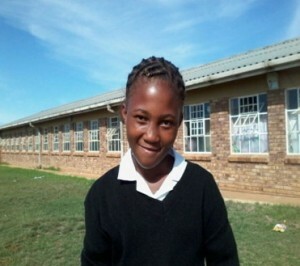 She also loves to play outside with a ball. 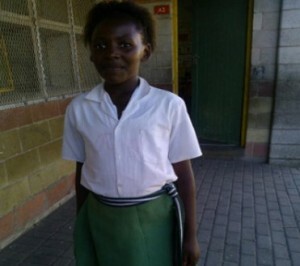 Sponsorship would secure the welfare of these children and enable the provision of school uniform and school shoes. 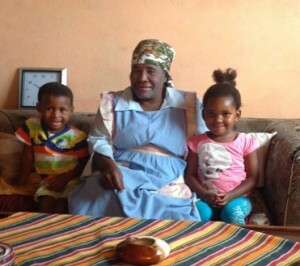 Mama Iris finds her strength in the “Lord” who is her shepherd.